Location: Our high quality Lodge is located near the village of “Cenicientos”. The village is just 80 km away from Madrid as well as Toledo and Avila. About your host at Cenicientos - OJESPAIN: Javier López de Carrizosa Mora-Figueroa, Owner. Javier López de Carrizosa Mora-Figueroa was born in Jerez in southern Spain. 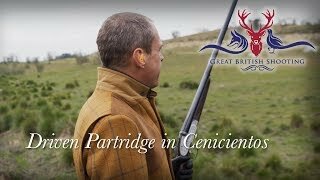 As a youngster he accompanied his father to wild partridge shoots on family estates, this is where he began to learn the art of running a shoot. Later on he combined his Law Studies with working for the Agency Espacaza running big game hunts. Having graduated from Law School he decided not to go into practice but follow his passion by becoming shoot manager at Fuentelfresno; a well know partridge shoot. A few years later he ran Gonzalo Banus’ shoot at Cenicientos for 3 years. 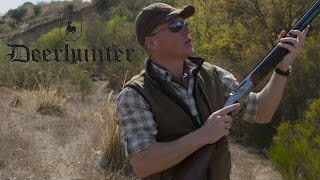 Since 2010 Javier has been running his own shoot; driven by tradition, high quality and value for money his organization is becoming synonymous with good shooting in Spain. Also since 2014 he is been hired by Fuensauco´s shoot property to manage and comercialize for the following years. 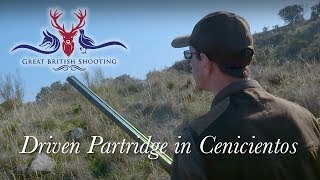 Game shooting experience at Cenicientos - OJESPAIN: Our hunting grounds are home to partridges of great quality. OJESPAIN is proud to offer one of the most exciting and magnificent bird shoots of all the Spanish driven partridge shoots. Season: From 8th of October to the 28th of February. Days: We can drive up to 3 or 4 driven days per week on different beats depending on the size of the bag. Shooting is permitted on Sundays. 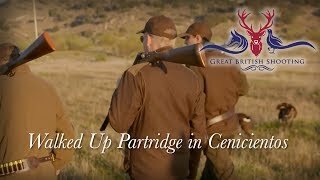 Due to the variety of drives we have available, we can offer traditional “spanish” driven days using double guns and achieving bags from 500-800 birds, as well as days for teams using single guns and shooting bags of 300-400 birds. We have access to beautiful Estates who run traditional “Monterías”, we can combine with driven partridge shooting. We also offer driven boar and red deer hunts along with stalking hunts for 4 species of ibex ( Gredos, Beceite, Ronda and South East Ibex) and iberian mouflon sheep. Click here for quick link country guide. What are the fishing/hunting seasons in Madrid, Spain? To select and book the top suggested hotels and accommodation in the area when hunting at Cenicientos - OJESPAIN, click here. by car or public transport to Cenicientos - OJESPAIN.